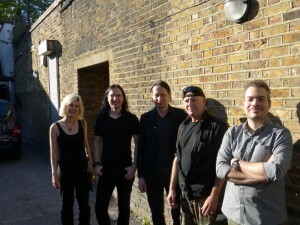 Red Sun Revival welcomes new permanent band member – drummer Simon Rippin! Simon previously recorded drums on Red Sun Revival’s 2014 EP “Embers” as well as 2015 album “Identities”. He has been touring with RSR as guest drummer since 2015. Simon was a founding member of NFD and Sensorium, and also played with Nefilim, Fields Of The Nephilim as well as Adoration and Thanateros. He also drums with The Eden House and Grooving In Green, and is guest drummer for The Last Dance. Over the last 35 years he has built up an extensive list of recording credits and live performances and he continues to be an active session drummer.